S&P Hewitt have over 3 decades experience in the provision of building solutions in the Chesterfield area, offering a dedicated, consistent and long-term commitment to the property, construction and development requirements of discerning clients and consultants. Our personal commitment to quality output, flexibility, approachability and genuine respect for our staff and customers are the cornerstones of our reputation. Furthermore, we are proud of the fact that we only work through one project at a time. This means you get our undivided attention throughout the build. Whatever your building requirements, be it new build, barn conversion, extension or renovation you are guaranteed our commitment to excellence as standard. A and P Hewitt did a survey of our roof. They informed us that it was in good condition and did not require any remedial work. I was reassured by their feedback and honesty. They turn up on time, work hard all day and only take on one job at a time. Would recommend. They attended the same day - problem explained, returned next working day. Inspected problem area - concluded cause to be freak storm of heavy rain. Made no charge. Highly recommended. They are pleasant, polite and take a pride in their work. Very professional and a fair price. We found Sean and Pete to be very hardworking, polite and trustworthy during our three month build project. No loud music or bad language, they did an excellent job and we are very pleased. The Hewitt brothers were friendly and reliable. We are pleased with our extension. Insurance work re-building a boundary wall. Turned up on time. Quick response. Left site clean and tidy. Good service. Sean and Pete responded quickly to a request for a tiled roof inspection. After carrying out a thorough inside and outside survey they gave the roof a clean bill of health. Nice to come across honest people who don't 'make work for themselves' where more is required. Well done. Used Hewitt's before and would recommend them confidently to anyone! Sean, Pete and Billy carried out our garage conversion to an excellent standard. They are professional, reliable and cheerful and always aim to please their client. I would highly recommend this contractor. Professional, reliable and honest builders. Would recommend their services. They were always on time, and kept the site clean and tidy. They were considerate of our family life and their work ethics could not be faulted. Sean & Pete were fantastic - turned up 7.45 everyday and project managed the whole job. They charged a fair price with no hidden extras, and we are thrilled with our new home. When we first met with Sean and Pete, we asked them to give us the 'wow factor' and we certainly got it. Straight away we found them to be very honest, friendly and approachable. Work was carried out skilfully and thoughtfully from start to finish. The entire project was managed very well as they have good relationships with other brilliant trades people. So when it was necessary for example, the plumbers, electricians and window installer to do their fixes, Sean and Pete made it all happen seamlessly. They have a caring approach as we were kept updated at all times while also planning ahead. They take great pride in their work and genuinely love their job. We are so proud of all the work they have done to our home and it really means the world to us. We would definitely choose them again. Sean & Pete worked hard to finish our project on time and to a good standard. The site was left tidy as well. 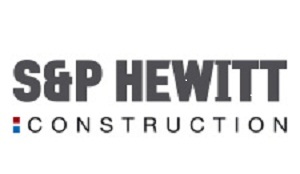 Very satisfied with S & P Hewitt Construction. Rang them to say I had a blocked drainpipe, they came on the day and time arranged. It was not a blocked pipe just needed a part to stop water overflowing. This was fixed the next day (no charge). It has worked perfectly since. I would recommend S & P Hewitt and have work done by the firm again.